Hey, Lovelies! I’ve been so thrilled with the fabulous response to my mobile newsletter signup, that I’ve decided to EXTEND the GIVEAWAY for another 6 months! 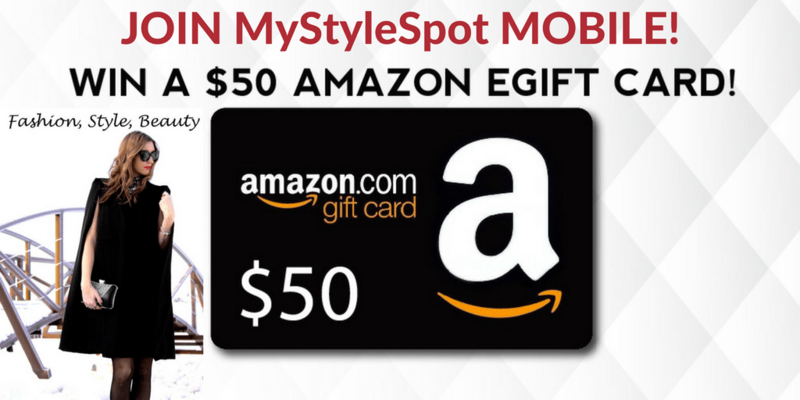 For the next 6 months, 1 new winner will be chosen each month to win a $50 Amazon Gift Card! That’s 6 MORE WINNERS! All you gotta do to get entered is to sign up for my mobile newsletter! You will also get a second chance to enter in to the giveaway by submitting your name, zip, and birthday – to score fun birthday messages, free gifts, and texts on your b-day! Please note: subscribers can enter only once, but will be entered in the gift card drawing every month! Winner chosen the 27th of each month. Winner automatically notified via text. Gift card will be sent within 24-48 hours of submitting email. I would love to be one of your gift card winners. Put me in it to win it! Thank you and Enjoy your Weekend!! I signed up and entered. Thank you for sharing! Good Luck Everyone! Found your site from TheKidsDidIt! Signed up & entered! Thanks for the chance! Entered via text would love to win I love the name of your site.